Home Leona was the winner of the 3rd series of X-Factor in England. 13 Avril Lavigne 2. I Got You Arnthor Birgisson, Savan Kotecha, Max Martin. Produced by Arnthor Birgisson for Aristotracks Production. 15 BC Jean 3. 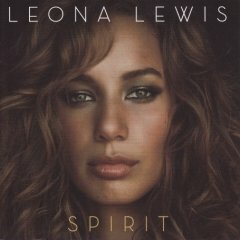 Can't Breathe Gavriel Aminov, Uriel Kadouch, Lundon J. Knighten, Leona Lewis, Cheryline Lim, Michael Malih, Keith Ross. Produced by Uriel "Frenchie" Kadouch. Co-produced by Harvey Mason, Jr.
23 Carrie Underwood 9. Naked Savan Kotecha, Leona Lewis, Kristian Lundin. Produced by Kristian Lundin for CMK Productions Inc. and Shellback for Maratone Productions. 49 Justin Bieber I wasn't sure if I should have just added this to the Covers page as "I Will Be" is a cover of the Avril Lavigne song which is a Bonus Track on the Limited edition CD/DVD pack of The Best Damn Thing. 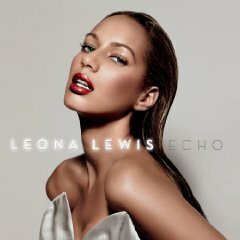 I can't decide which version I prefer, maybe Leona's? 60 Living Things 5. Yesterday Jordan Omley, Michael Mani, The Jam, Sam Watters, Louis Biancaniello, The Runaways, Nina Woodford. Produced by Louis Biancaniello and Sam Watters; The Runaways; Michael Mani and Jordan Omley; The Jam. 63 Maroon 5 6. Take a Bow The Runaways, Sam Watters, Wayne Wilkins, Louis Biancaniello, Ryan Tedder. Produced by The Runaways, Sam Watters, Wayne Wilkins, Louis Biancaniello and Ryan 'Alias' Tedder. 71 Pain 12. The First Time Ever I Saw Your Face Ewan MacColl. Produced by Wayne Wilkins, Louis Biancaniello, Sam Watters and The Runaways.